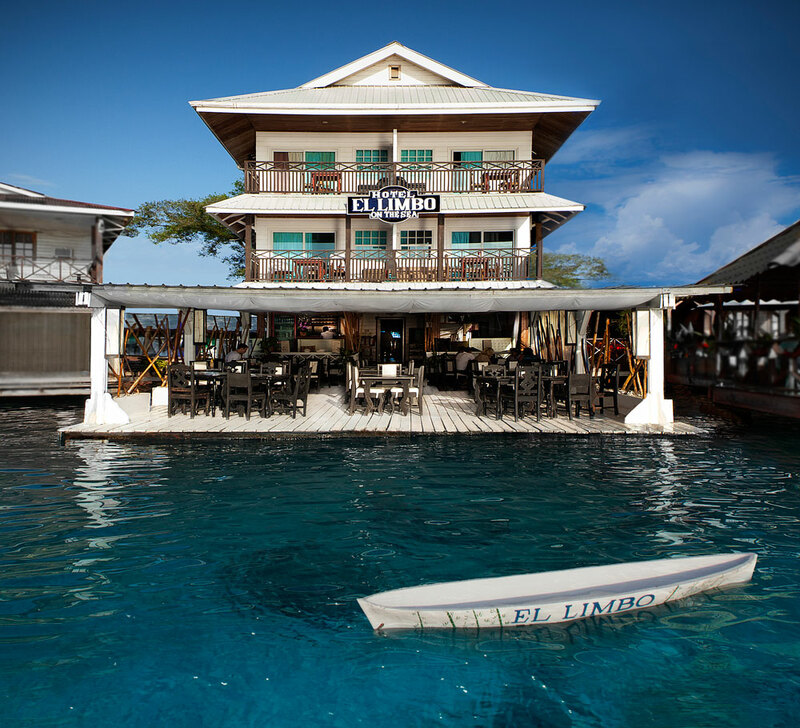 The Hotel El Limbo is located on Isla Colon, in the town of Bocas del Toro. El Limbo is built on the crystal clear waters of the Caribbean Sea. Constructed with 12 different types of local wood the hotel reflects the typical Antillean architecture, which celebrates the many local cultures. Nestled right in the center of Bocas town, it offers something for everybody. A stay at El Limbo on our amazing tropical island, will give you everything necessary to enjoy an excellent vacations! Our charming inn has 15 comfortable guest rooms. All rooms are equipped with a private bathroom, plasma TVs with cable, air conditioning, hot water, wireless internet, mini bar, in room safes, and telephone. While you are not in your room you can join us for a drink on the deck. With one of the best panoramic views of the neighboring islands, it is a relaxing way to spend some time while deciding what to do next! Our restaurant offers delicious cuisine, with special dishes and a menu that includes a variety of foods that will please all appetites!